In mid-March, Tennessee lawmakers filed a bill amendment aimed to provide more assistance to children with long-term disability and complex medical needs who live with their families, and aren’t currently on TennCare. This could help thousands of children and families financially by creating an easier path to the services offered by Medicaid. Currently, there is a gap between the needs of many Knoxville families and the eligibility requirements of TennCare (the state’s Medicaid system). About 3,600 Tennessee children with severe disabilities are unable to receive TennCare because – although they need the various services and care – the state considers the family’s income too high. Affected parents believe this current limitation penalizes those who have jobs and are trying to support themselves and their families. Even with private insurance, some parents pay an average of $36,000 a year or more out of pocket for their child’s medical needs. Sadly, up until now, families have been advised to resort to drastic measures in order to secure TennCare for their children. One family, Rosalie and Joseph Howes, lost TennCare coverage for their son Hyrum after Joseph moved to a higher-paying job. Even their private insurance was not enough to cover Hyrum’s expenses, so the family pays the excess out of pocket. As the family falls into debt, they’ve been advised that Hyrum can recover TennCare benefits if they place him in an institution, which the Howes won’t do. Another solution? Divorce. The Howes are currently in the process of separating so Hyrum can once again qualify for TennCare. And they’re not the only ones. For too long, families throughout Tennessee have had to consider breaking up their family units just to get the help they need to protect their children. As divorce attorneys, we’ve worked with a lot of clients who wanted, or needed, to get divorced. Helping ease them through the process is one of our many jobs. But helping clients whose marriage is strong, and who still love one another, get divorced so they can protect their children? Part A would provide access to Medicaid and home- and community-based services for children with disabilities, regardless of parent income or resources. 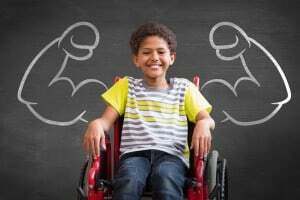 Children with the most significant disabilities, whose families are most likely to be financially affected, would be given priority enrollment. TennCare would draft all eligibility criteria upon enacting the legislation. Part B would be a Medicaid diversion plan, meaning those enrolled children wouldn’t receive TennCare services. Instead, these children would receive a capped package of services and assistance from the Tennessee Department of Intellectual and Developmental Disabilities, on a sliding-fee scale. These types of services typically include respite care, physical and occupational therapy, case management, etc. The bill still has a ways to travel – first it has to pass the state House, Senate, and gain approval from Medicare/Medicaid in Washington before becoming law in Tennessee. We hope, more than anything, that it succeeds. At the Law Office of LaFevor & Slaughter, our number one priority is you and your family. Issues concerning medical and estate planning can get complicated or confusing, as our laws are constantly changing. We can provide the guidance you’re looking for. Call us at 865.272.4454 or complete our contact form to schedule a consultation with a Knoxville attorney today.